The Lowndes thriller was inspired by Jack the Ripper lore and concerned a London family that suspects their lodger may be behind a spate of gruesome killings. The victims in Ondaatje’s update are prostitutes working West Hollywood’s Sunset Strip. The detective on the case, Chandler Manning (Alfred Molina), is a Jack the Ripper fanatic who becomes doubly intrigued when he discovers that his quarry bears an M.O. identical not only to the Ripper’s but to a serial killer he caught years ago. Manning himself is hounded with crises: He’s drawing suspicion from his department superiors that he himself might be the killer, and his daughter (Rachel Leigh Cook) blames him for her troubled mother’s attempted suicide. Mental illness is all over this film. 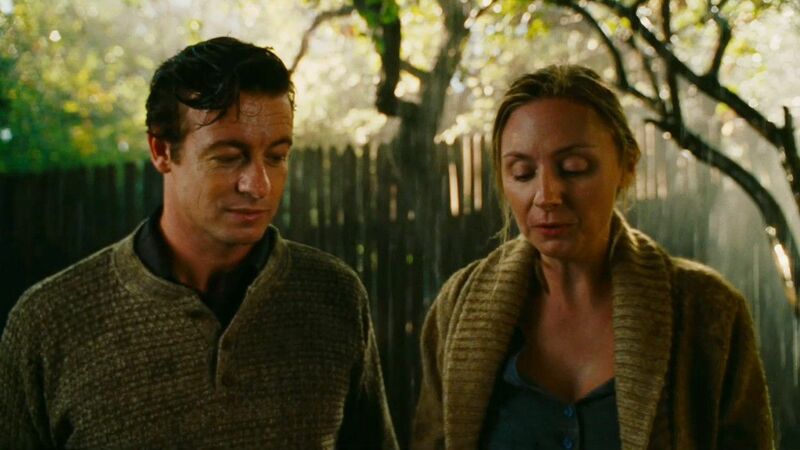 Ellen (Hope Davis), who rents her guesthouse to Malcolm (Simon Baker), a typically brooding transient devoid of personality, is herself an emotionally damaged woman. She lives under the thumb of her oafish husband, Bunting (Donal Logue), and spends her days dreaming of being seduced by her handsome, if bizarre, new tenant. The script goes on to make the insinuation that Malcolm might not exist at all, except as a figment of Ellen’s imagination, which makes connecting with her that much more difficult, if not altogether pointless. Ondaatje’s real-life-versus-dream-life gambit renders The Lodger‘s third-act revelations more ludicrous than provocative. The Lodger‘s second half preoccupies itself with red herrings and blind alleys, orchestrated to keep viewers off the scent of the real killer’s identity. But Ondaatje’s plotting is so forced as it shifts suspicion between Manning, Bunting, and Malcolm that it renders this whole guessing game silly and unconvincing. The cast fares terribly as fine performers like Molina, Davis, and Philip Baker Hall (playing Manning’s boss) all seem anxious to run their paces as painlessly as possible and collect their paychecks. Ondaatje’s lack of certainty seeps from the dialogue and characterizations to his choice of an overwrought aria-heavy score and a shoddy sense of style that recalls episodic television and myriad Silence of the Lambs rip-offs. It seems Ondaatje also couldn’t decide on rain or shine when our lodger first appears at Ellen’s door so, inexplicably, he opts for a downpour to drench the foreground and shafts of sunlight to wash out the back. The Lodger is so mired in ineptitudes, however, that the weather is the least of its problems.